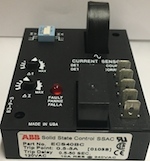 Anderson-Bolds has the following miscellaneous new and unused parts in stock and available for immediate shipping, including SSAC Littelfuse Flashers, SSAC Littelfuse Timers, SSAC Littelfuse Voltage Monitors, and SSAC Littelfuse Current Sensors. Little Fuse SSAC Flasher FS 146 with 75 flashes per minute, 24vac - New unused unit. Little Fuse SSAC Flasher FS 152-50 with 50 flashes per minute, 120vac - New unused unit. Little Fuse SSAC Flasher FS 152 with 90 flashes per minute, 24vac - New unused unit. 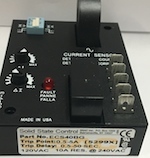 Little Fuse SSAC Timer KSDB321P, 24vdc, 1-100 seconds - New unused unit. Little Fuse SSAC Timer KSDR40A0, 24vdc, 10 minutes - New unused unit. Little Fuse SSAC Timer KSDS4110M, 24vdc, 10 minutes - New unused unit. 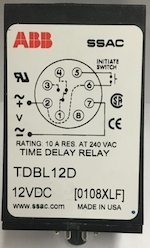 Little Fuse SSAC Timer TDBL12D, 12vdc, 102.3 Seconds - New unused unit. 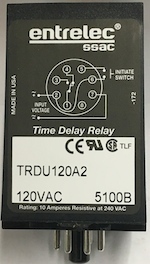 Little Fuse SSAC Timer TRDU120A2, 120vac, Multi-Mode - New unused unit. 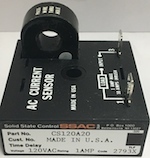 Little Fuse SSAC Current Sensor CS120A20, 120vac - New unused unit. Little Fuse SSAC Current Sensor ECS21BC, 24vac - New unused unit. 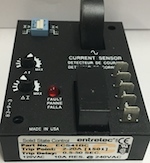 Little Fuse SSAC Current Sensor ECS40BC, 120vac - New unused unit. Little Fuse SSAC Current Sensor ECS40BG, 120vac - New unused unit. Little Fuse SSAC Current Sensor ECS41BC, 120vac - New unused unit. 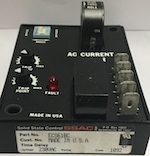 Little Fuse SSAC Current Sensor ECS61BC, 230vac - New unused unit. 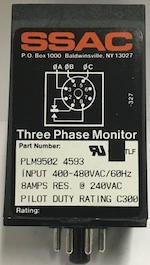 Little Fuse SSAC Voltage Monitor PLM9502, 480vac - New unused unit. 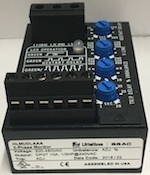 Little Fuse SSAC Voltage Monitor HLMUDLAAA, 480vac - New unused unit.